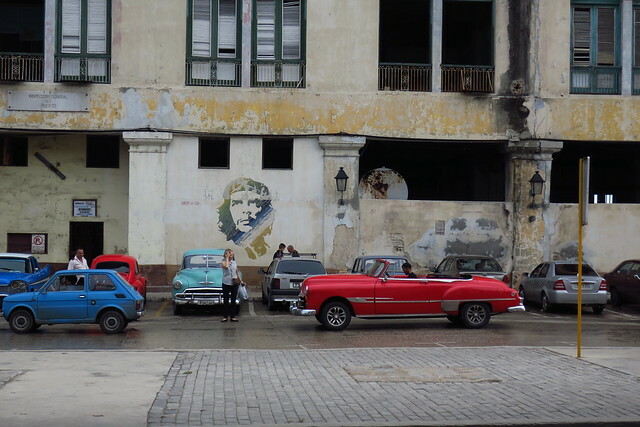 Cuba: the country that has attracted, vexed, and frustrated generations of Americans, from Hemingway to Ted Cruz. It's been on our shortlist of destination goals for a while, so close to home and yet so far ideologically, politically, and culturally. With the US regulations limiting travel there opening up slightly in 2015, and an invitation to a wedding in Cancun (just an hour's flight from Havana) this January, we saw the stars aligning and an opportunity we couldn't pass up, so we set to planning. One of the strongest and most frequent reactions I had after nearly two weeks in Cuba was surprise that such a place can (still) exist. It was a pleasant sense of surprise, but surprise all the same that this singular island could maintain so much of its unique culture, pride, and individualism, when the rest of the Caribbean (if not the rest of the world) feels so homogeneous, bland, and Americanized. 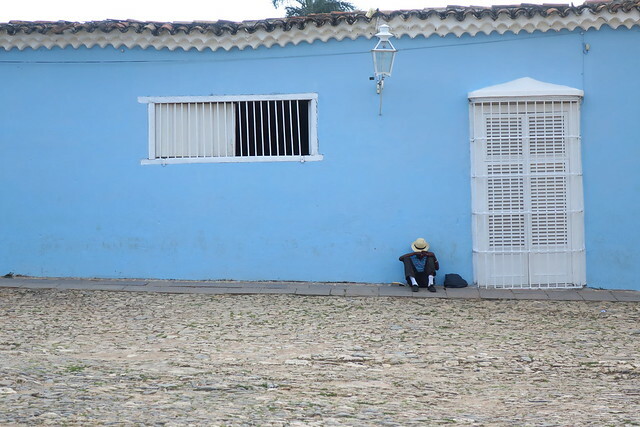 It seems like such a strange accident of history that has led to where Cuba is today. For those that need it, here's a quick history lesson on how this island came to be what it is: a fiercely independent, strong-willed, and proud society less than 100 miles off American shores. Cuba's first known inhabitants were an agricultural society known as the Taino, of which not much remains: they were a peaceful people who put up little to no resistance when the Spanish came to conquer the New World in the 1500s. The next few centuries saw the fortunes of the largest island in the Caribbean rise as a major trading post for gold, silver, slaves, and the other spoils of colonialism, before falling amidst rampant piracy, proxy wars between Spain and other European nations, and general disregard and exploitation from the colonial power. As the wave of self-determination led by Simon Bolivar swept Latin America in the 19th century, Cuba (as well as Puerto Rico) was left out until their own war of independence late in that century, led by the poet, leader-in-exile, and eventual martyr José Martí. The 1898 sinking of the USS Maine provided the US a reason (some might say pretext) for entering into the conflict and beginning the Spanish-American war. The American side won, and the war ended with a treaty granting Washington significant powers over the island, including control of the infamous Guantánamo Bay naval base. What followed was a period of Cuban "independence" which in reality was controlled socially, politically, and economically by Washington. During this period, while the US invested heavily in the country's infrastructure and social system, its industry and trade were making close ties to the new colonial ruler to the north. 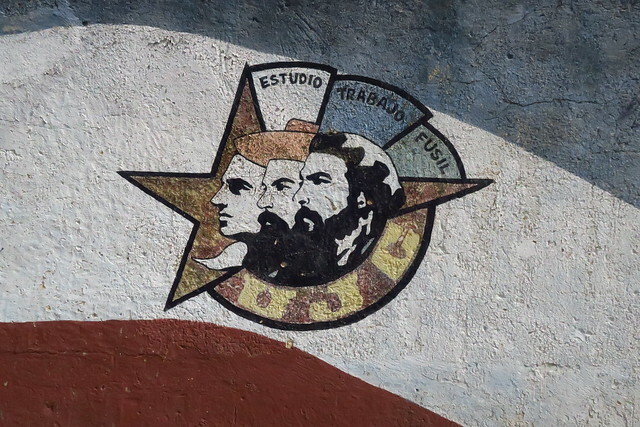 Money, resources, and ownership of land continued to leave the country, now to American organizations (both legitimate and not, as fans of The Godfather II can attest), leading to the populist revolution led by Fidel Castro, Che Guevara, and Camilo Cienfuegos. 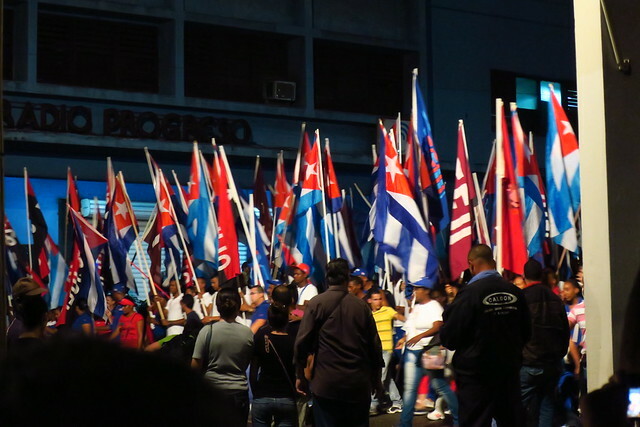 In 1959, the revolution succeeded in exiling and wresting control from Jose Batista, the last in what was seen as a line of American-controlled presidents, and the current government was founded with Castro at the helm. Over the next few years he would enact laws and edicts forming the current Socialist system. Because these actions were (at least publicly) aimed at empowering the populace and providing self-determination and land ownership to the working class, they necessarily alienated the upper classes, foreign expatriates, and social minorities, and tens of thousands of doctors, teachers, intellectuals, land owners, businesspeople, and gays and lesbians fled. The Cold War saw Cuba as a Soviet-allied craw in the side of the US, leading to the Bay of Pigs debacle, and Cuban missile crisis, after which things were fairly stable and prosperous (into the 1980s, Cuba had some of the best education and medical systems, and they completely eliminated hunger). The fall of the Soviet Union, however, kicked off Cuba's "special period", during which, lacking fuel and food imports from the Eastern Bloc, thousands died from starvation, disease, and suicide. This crisis sowed the seeds of the changes that continue to this day, a tension between the values of the Revolution (still very important to the Cuban people), the desire of the government for absolute and authoritarian control of the people, and the allure and perhaps necessity of the financial support provided by tourism and private industry. 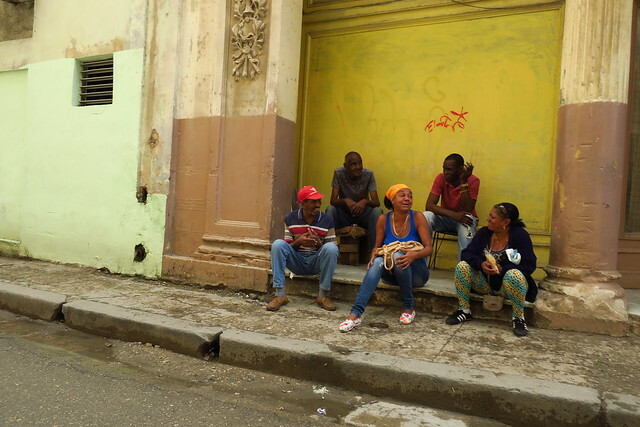 In 2011 a suite of reforms were put into place allowing Cubans to have a variety of non-State jobs (including taxi driver, construction worker, shopkeeper, mule driver, palm tree trimmer, well-digger, and "dandy", a dapper gentleman who wears fashionable suits and hats), as well as the right to run restaurants and other shops, and own homes and cars. 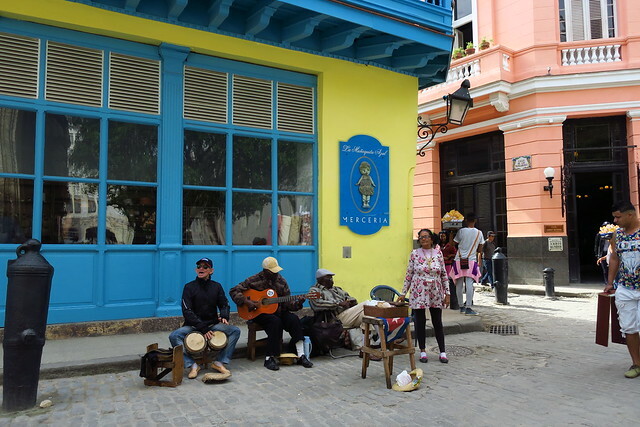 A Revolution-era requirement that Cubans get an expensive and difficult-to-obtain government permit to travel abroad was lifted in January 2013, though the passport fees still leave travel out of reach for most Cubans. In October 2000, Bill Clinton signed a bill into law that allowed the sale of agricultural goods and medicine to Cuba for humanitarian reasons. In April 2009, Barack Obama allowed Cuban-Americans to travel freely to Cuba for the first time in a generation, and in January 2011, he expanded the allowed reasons to include educational, religious, and several other purposes. In 2014, the Obama administration announced its intention to re-establish relations with Cuba. 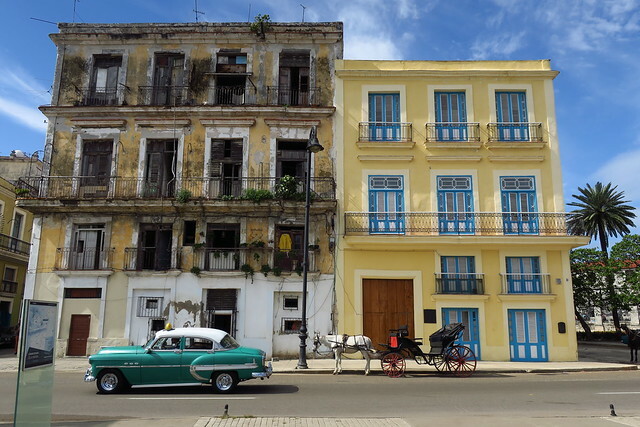 In January 2015, the Administration lightened restrictions on U.S. citizen travel to Cuba. Travelers are still required to have one of the valid reasons for travel, but the determination of compliance shifted to the traveler. 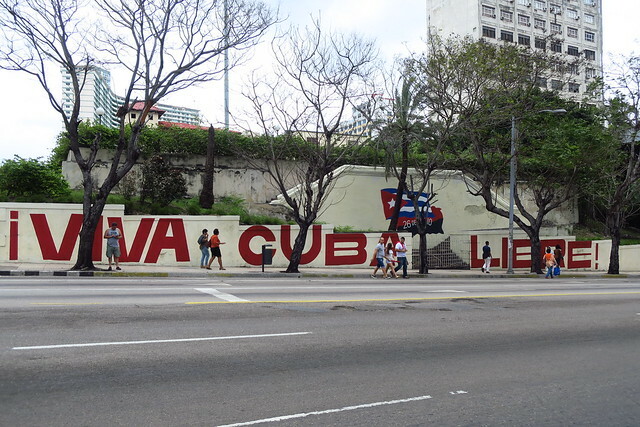 In July 2015, the US Embassy in Havana re-opened, after having been closed since 1961 (there was a small "Interests Section" that had been open since 1977). 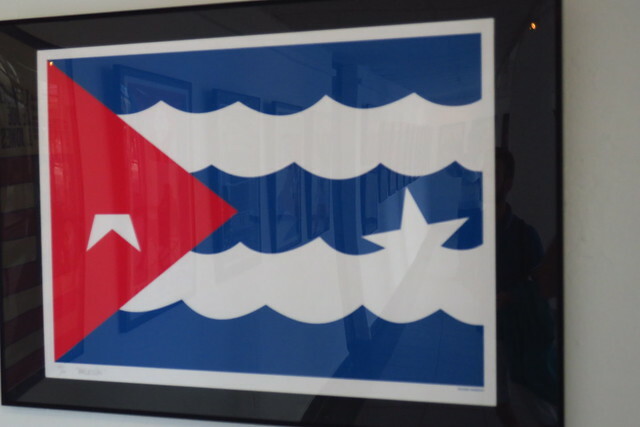 In December 2015, the US and Cuba agreed to reinstate direct flights between the countries. Flights may start this year. As of March 2016, it's still impossible to use a US debit or credit card, and there's a 10% fee levied on converting US Dollars. President Obama has been working throughout his presidency to close the Guantánamo Bay naval base and release the captives held there. As of March 2016, less than 100 inmates remain.